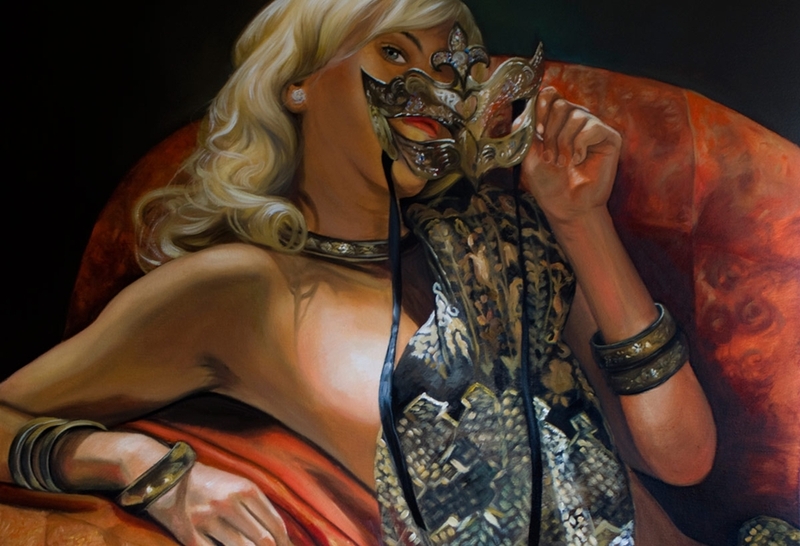 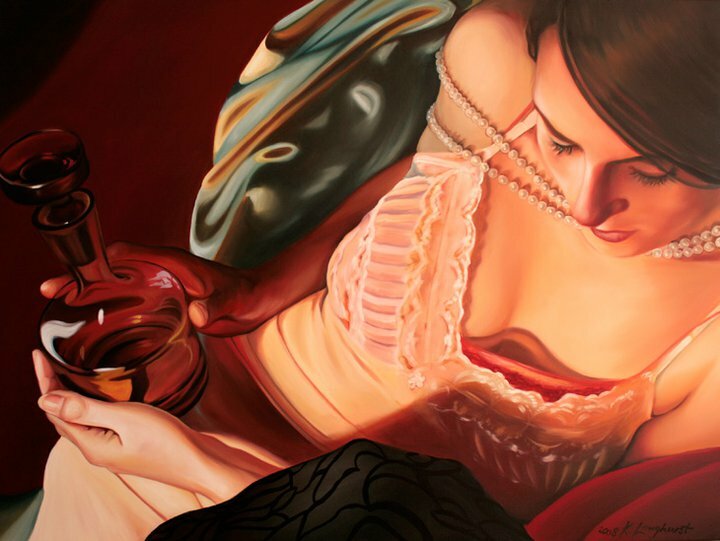 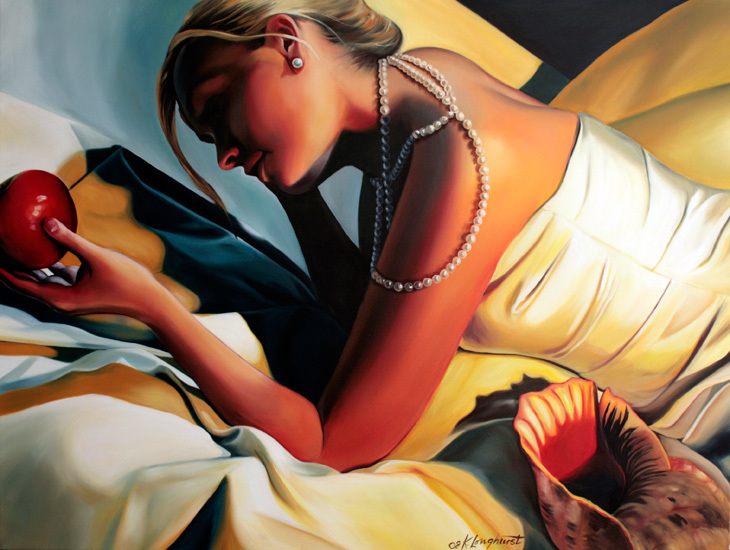 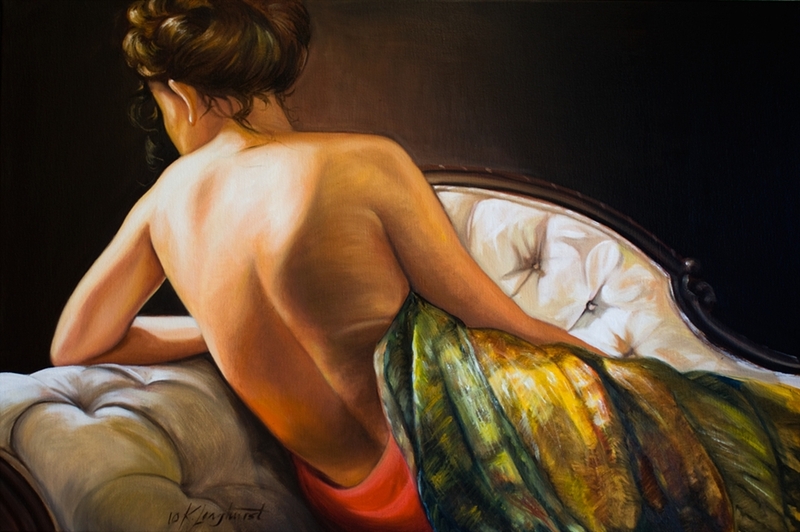 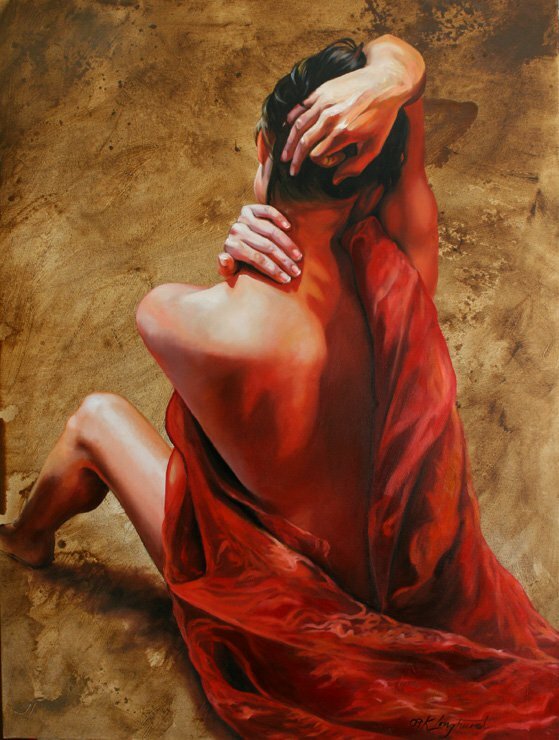 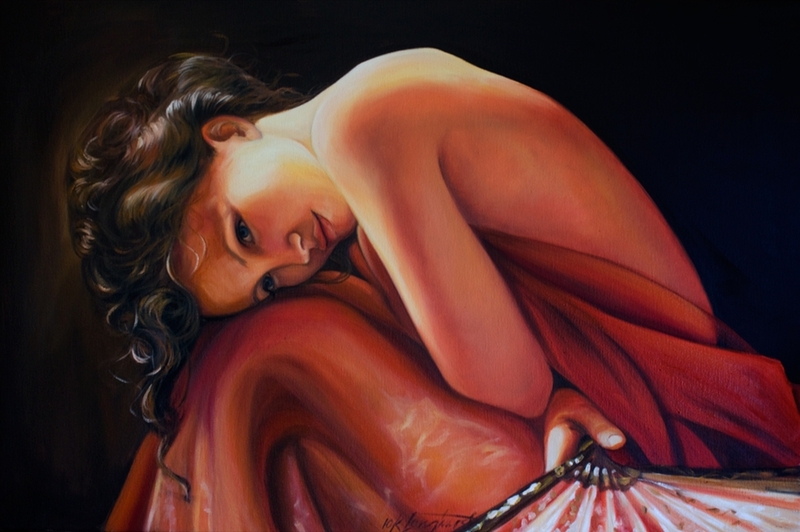 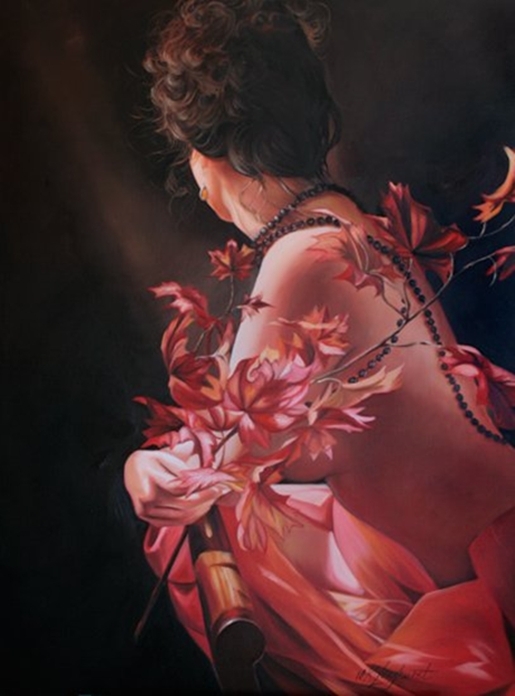 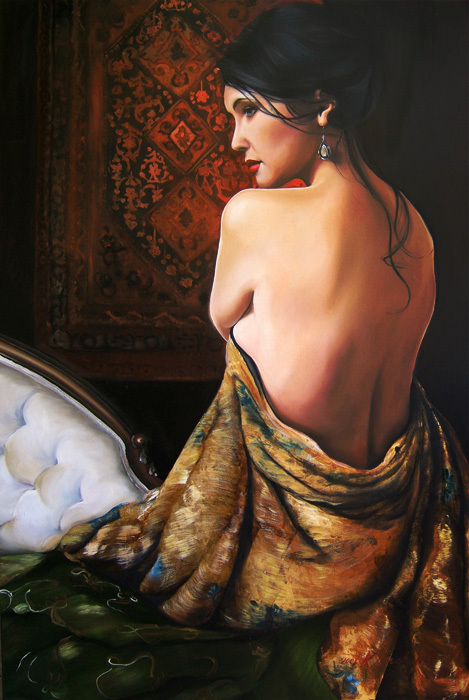 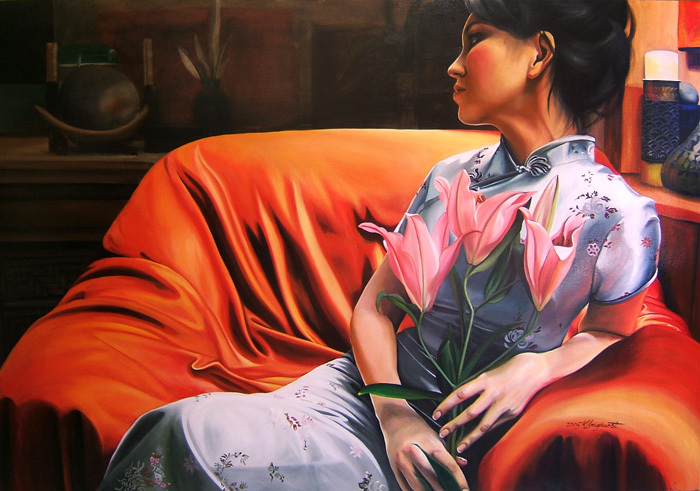 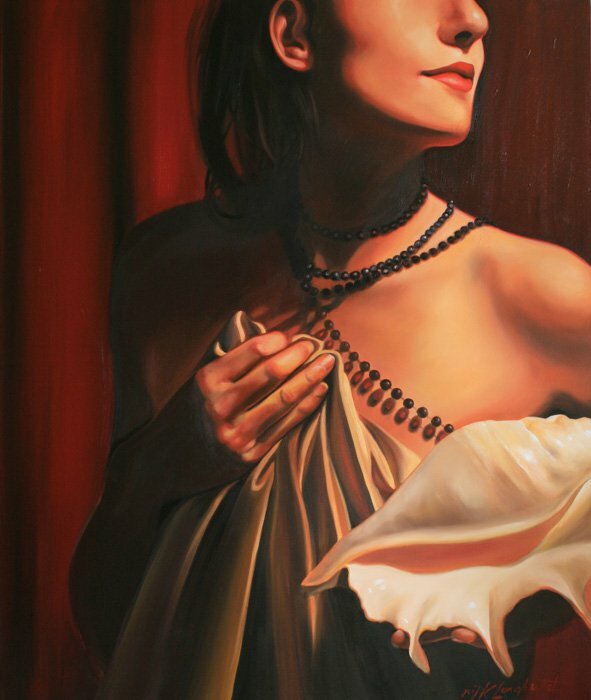 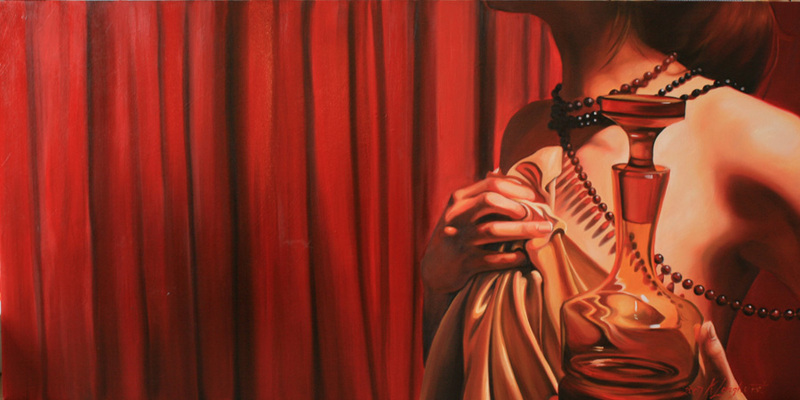 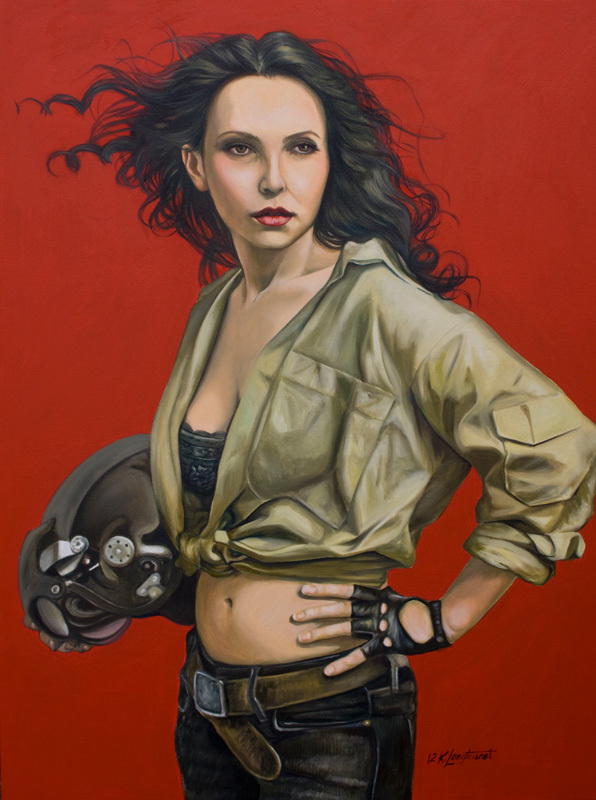 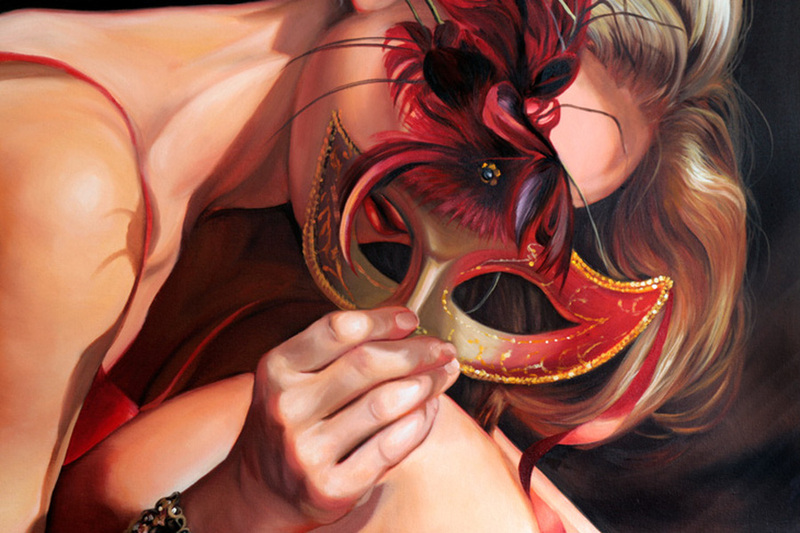 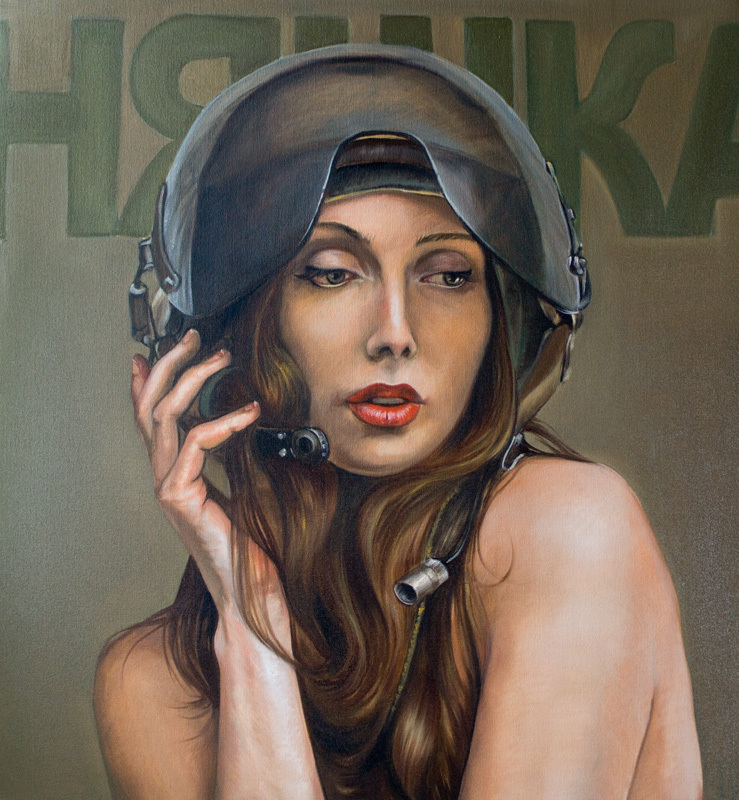 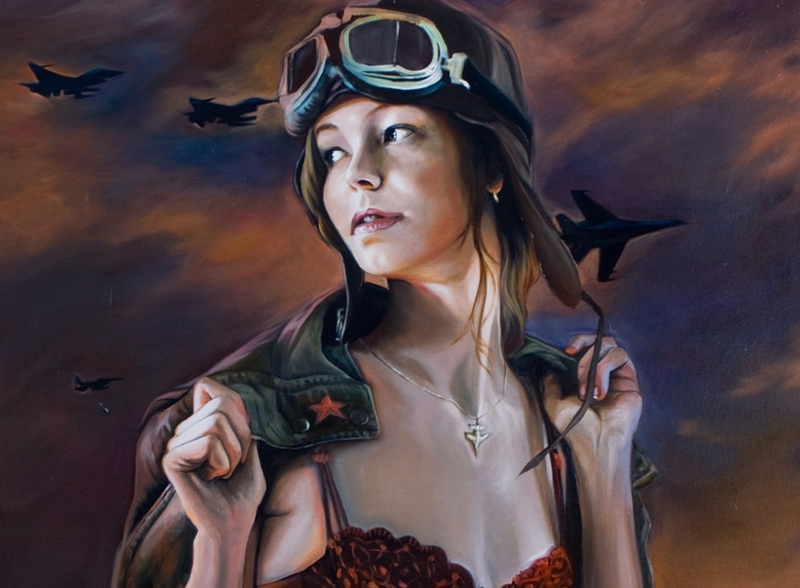 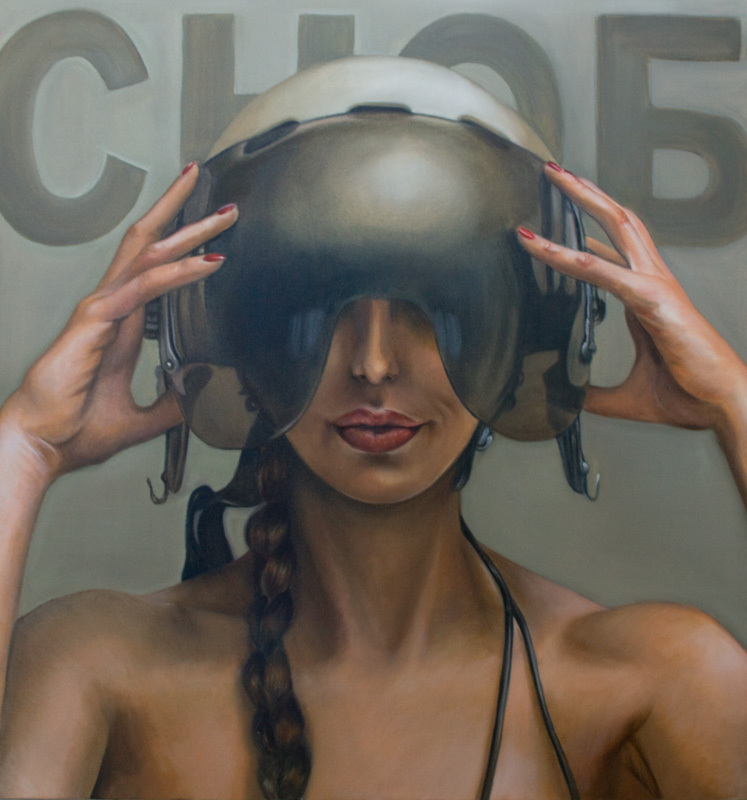 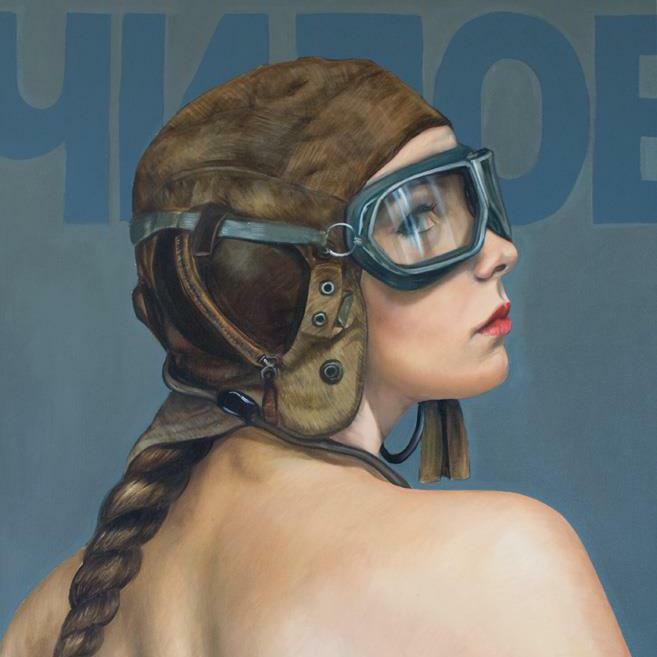 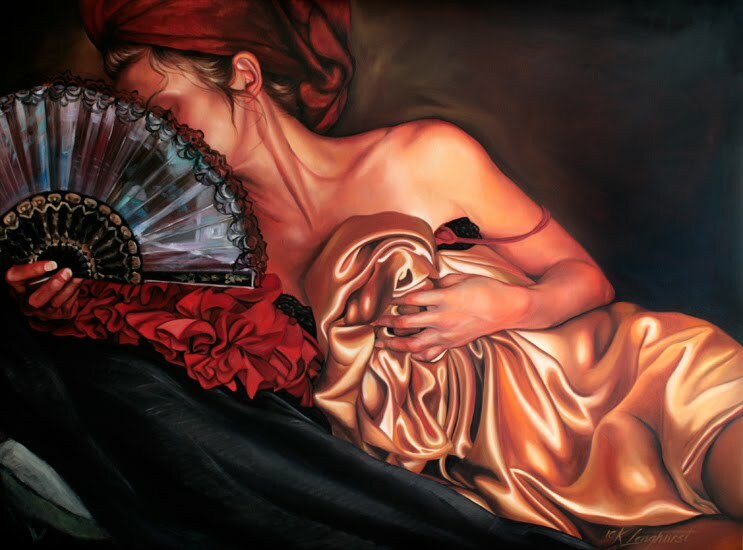 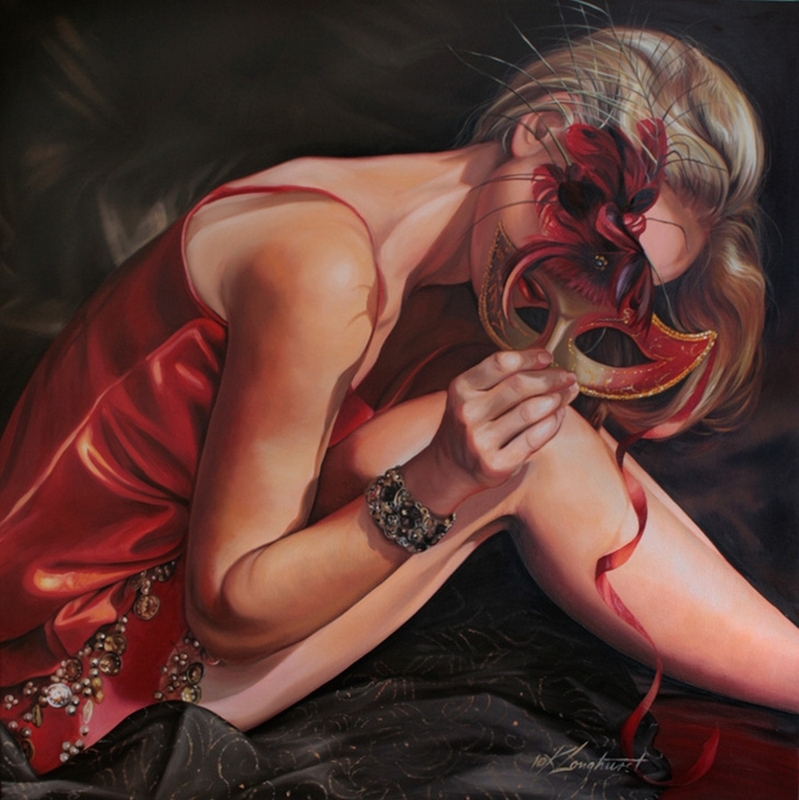 Kathrin Longhurst, German-born Australian painter, known for working in the Figurative and Hyperrealist style. 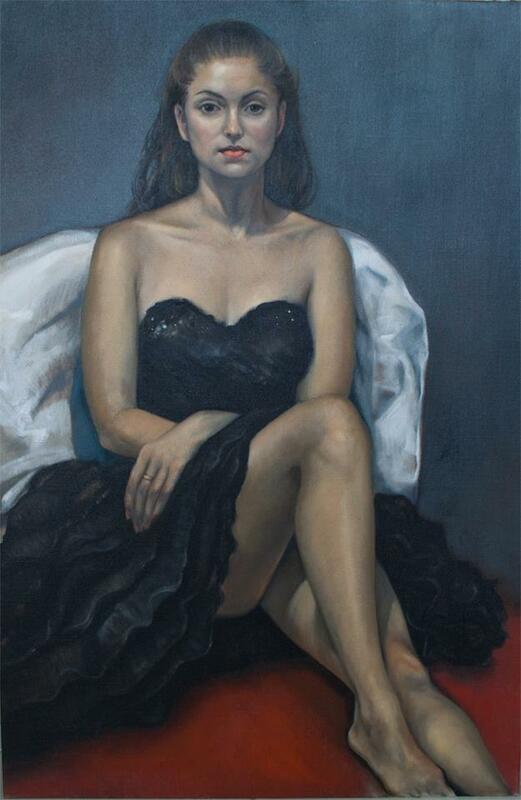 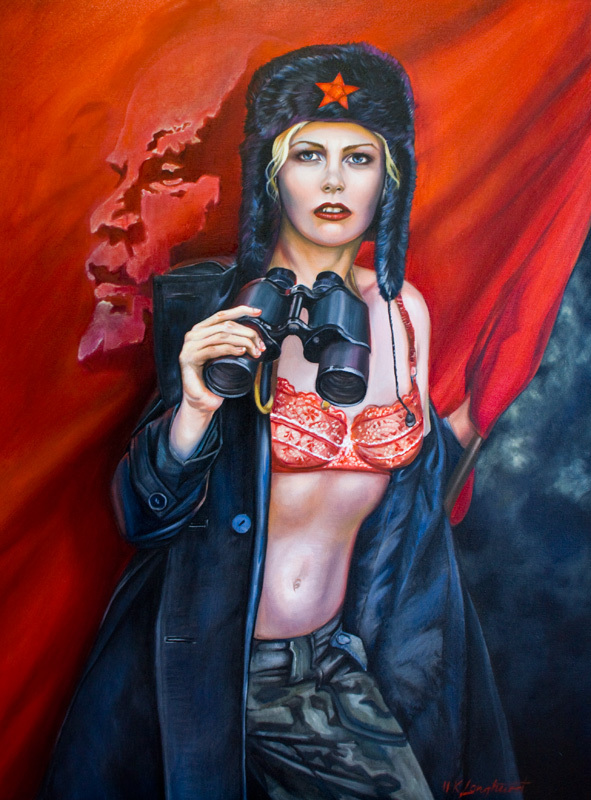 Grew up in Communist East Germany where she started taking life drawing classes at age 14. 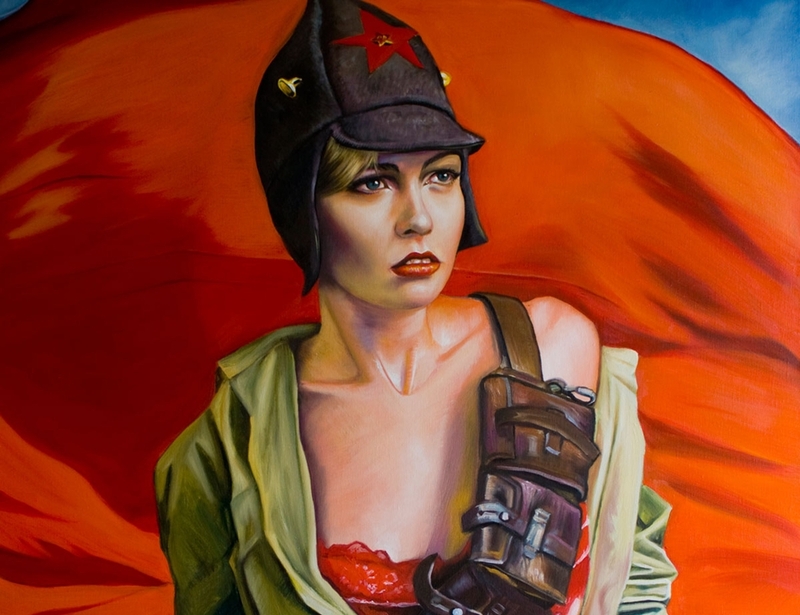 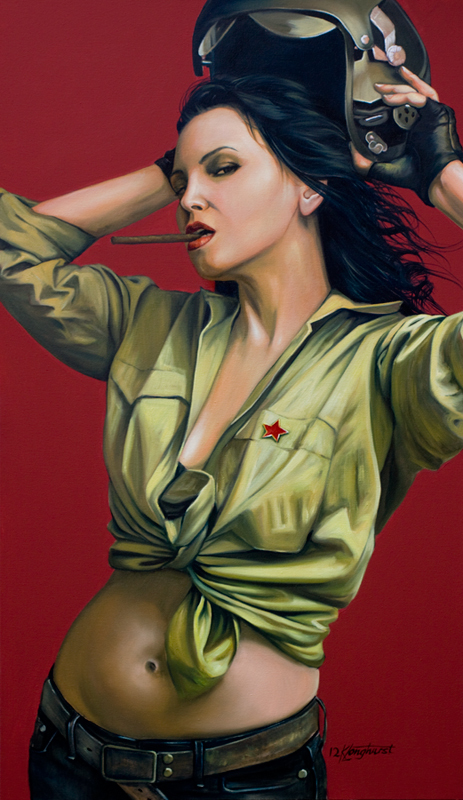 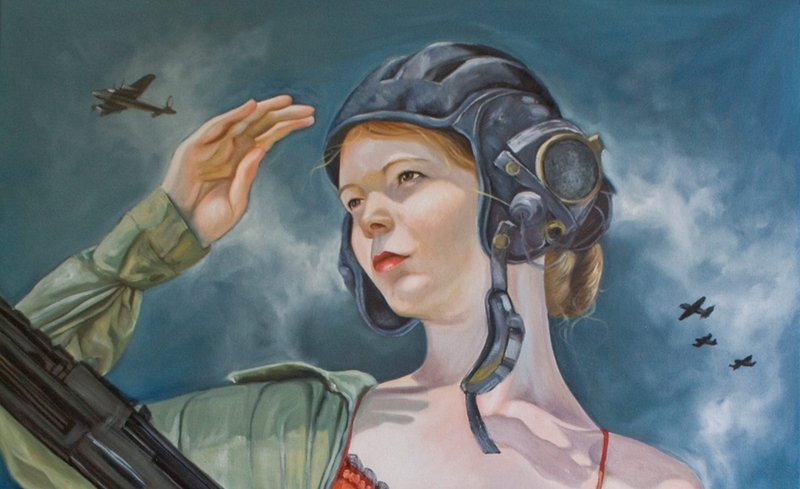 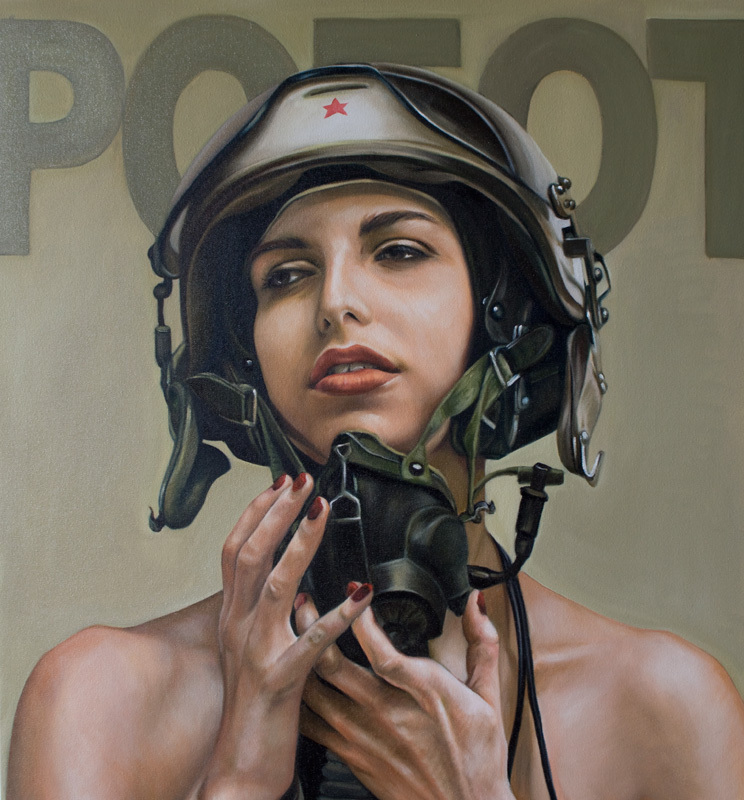 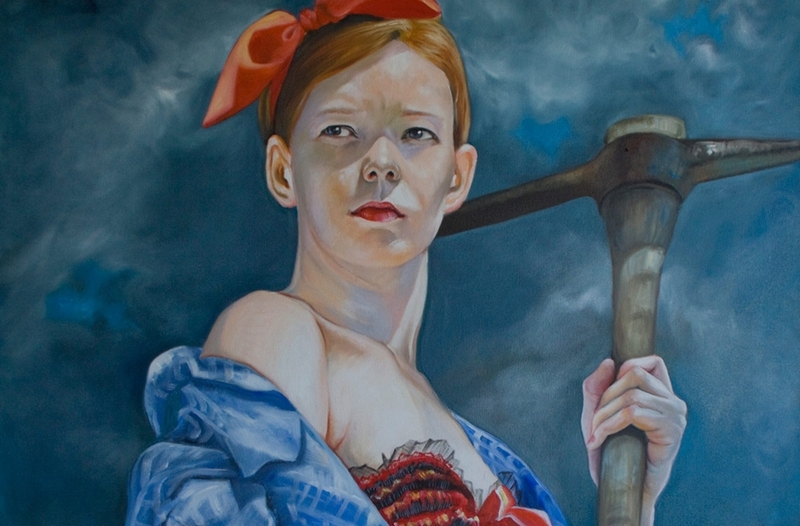 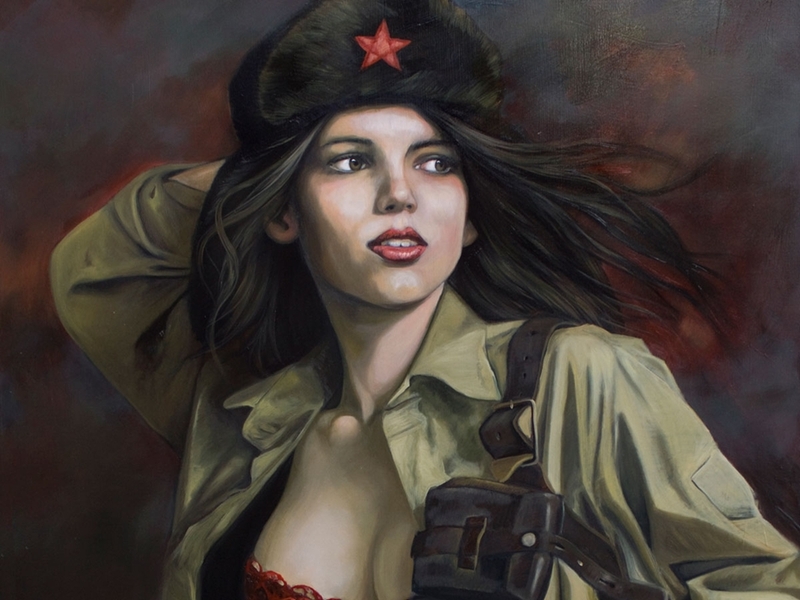 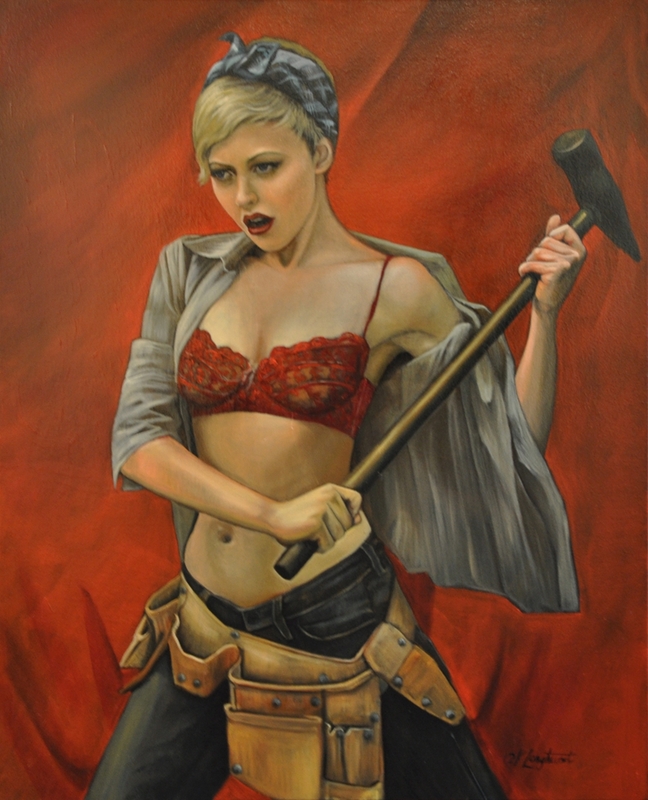 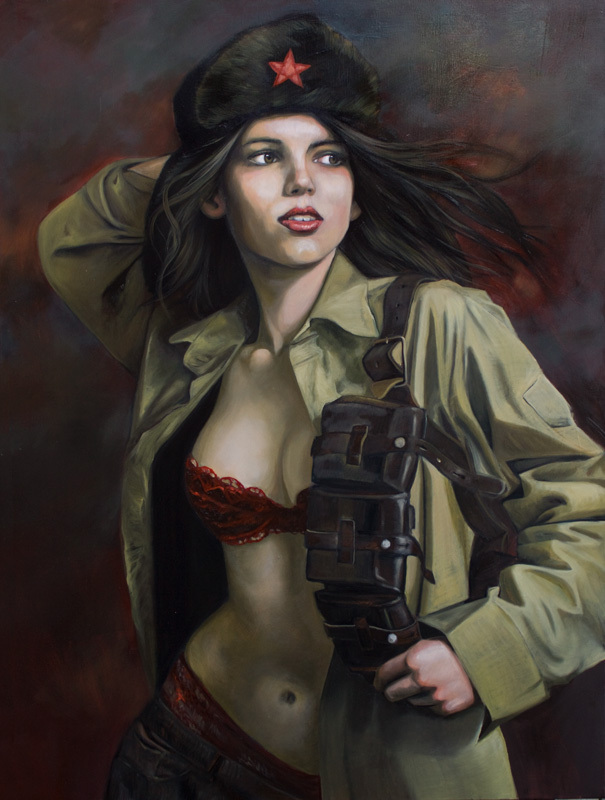 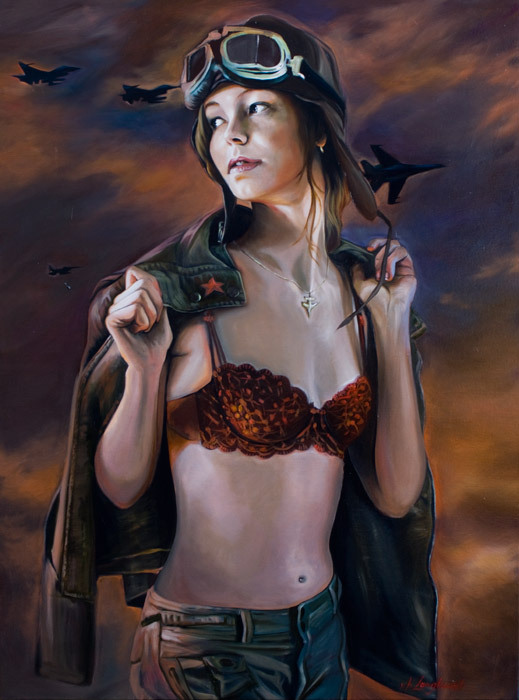 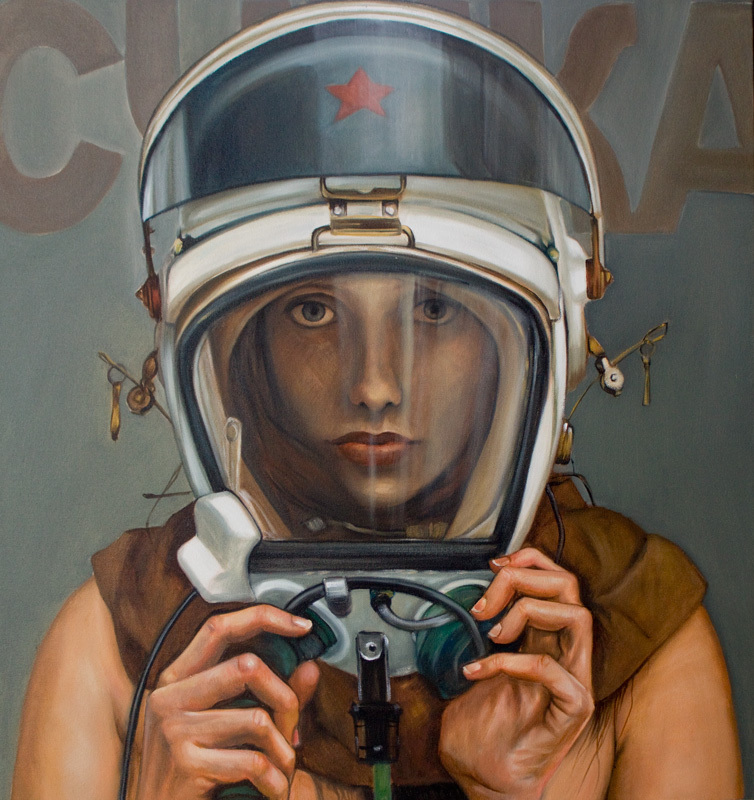 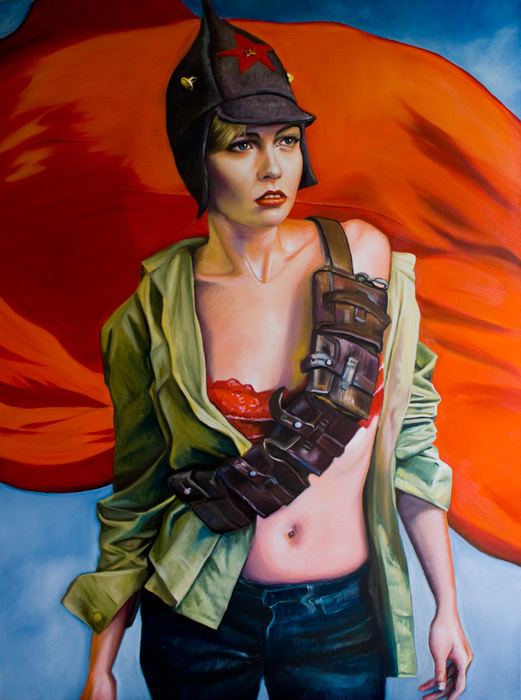 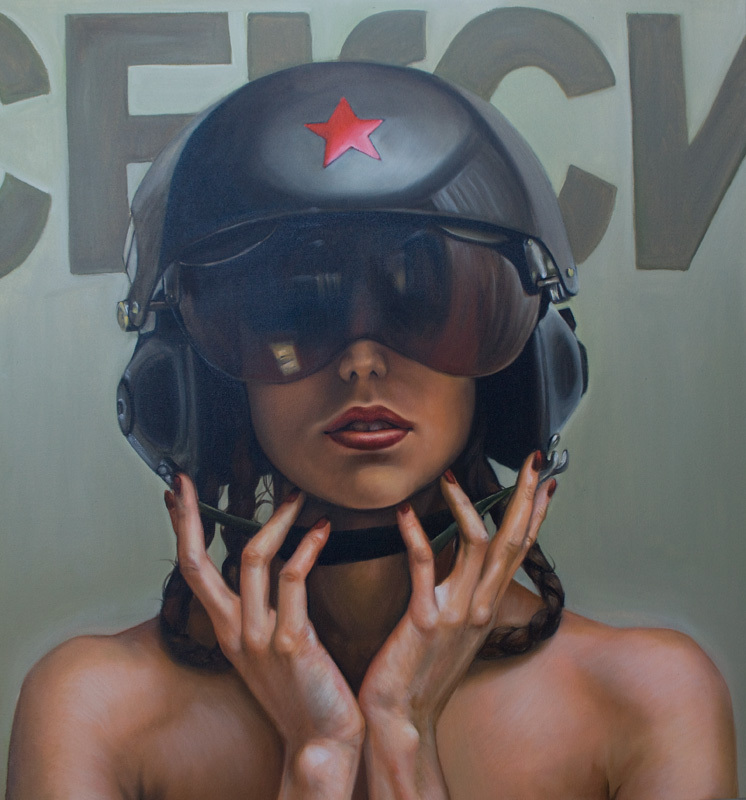 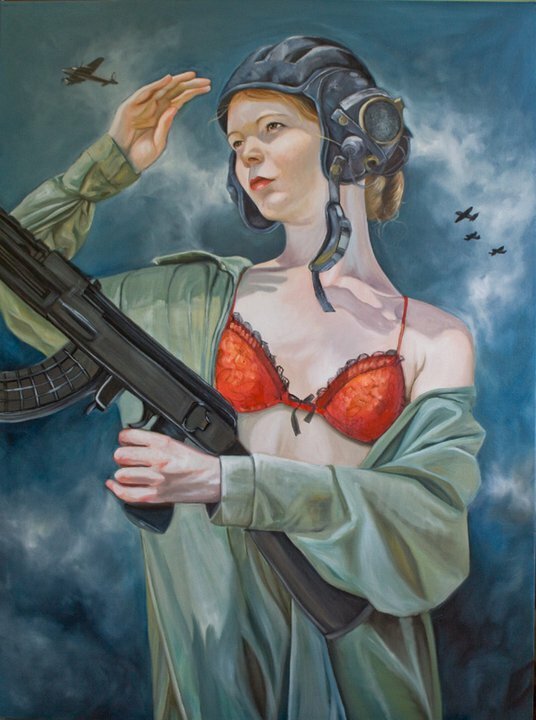 Her work is strongly influenced by Socialist Realism and communist propaganda art. 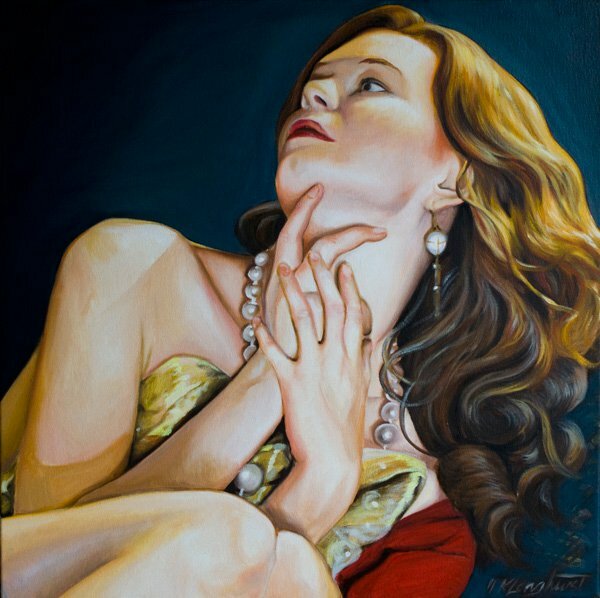 Kathrin spent a decade in Scandinavia visiting galleries in Denmark and Sweden as well as a year in Belgium where her work gained its Art Nouveau influences. 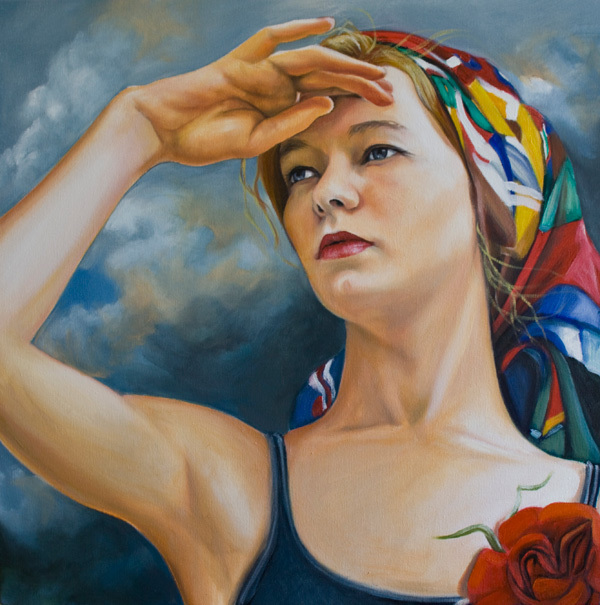 She travelled extensively through Europe, Asia and America. 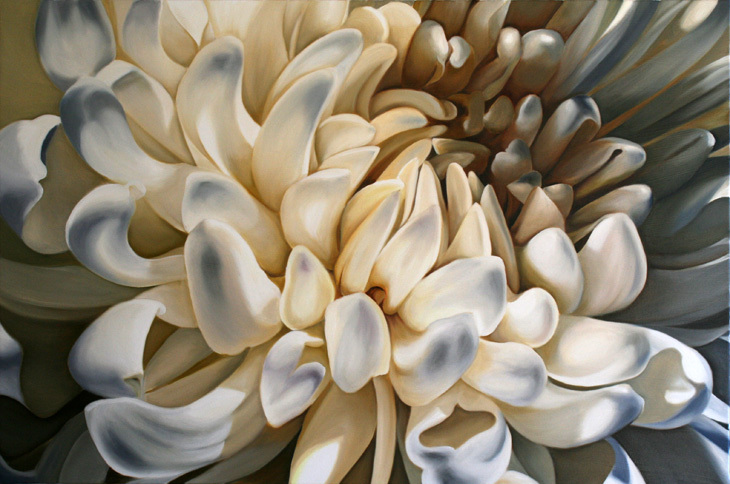 Kathrin’s work reflects her diverse cultural background, having lived in many European countries and finally settled in Australia in 2000. 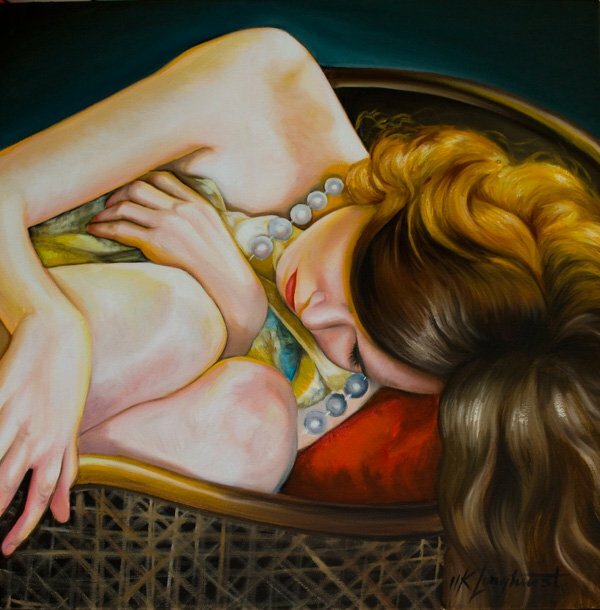 Kathrin has been a fulltime artist for the past 8 years. 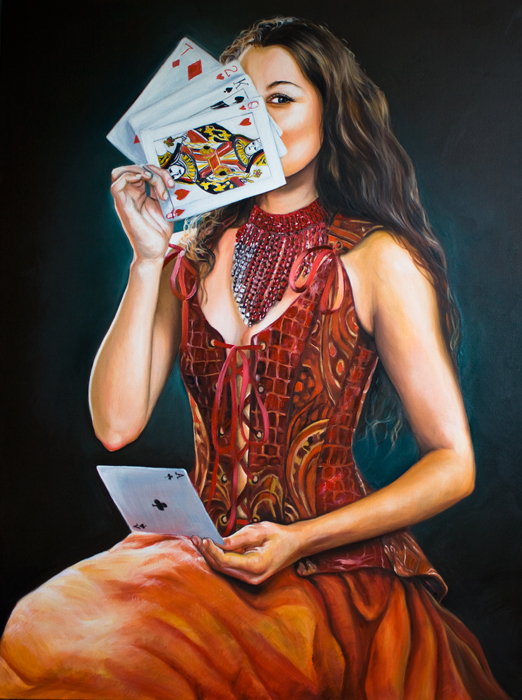 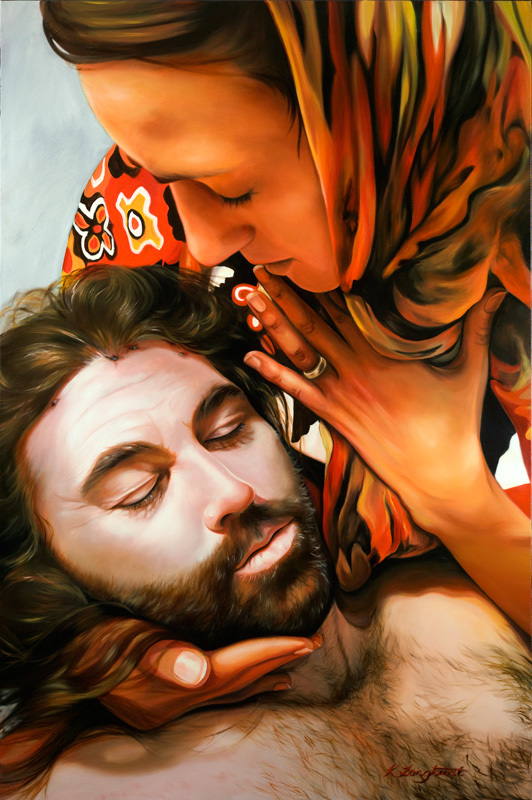 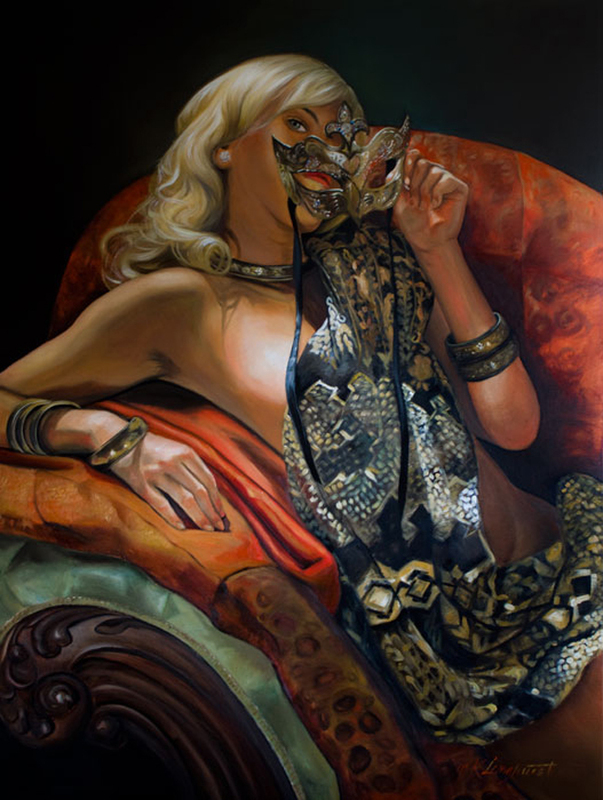 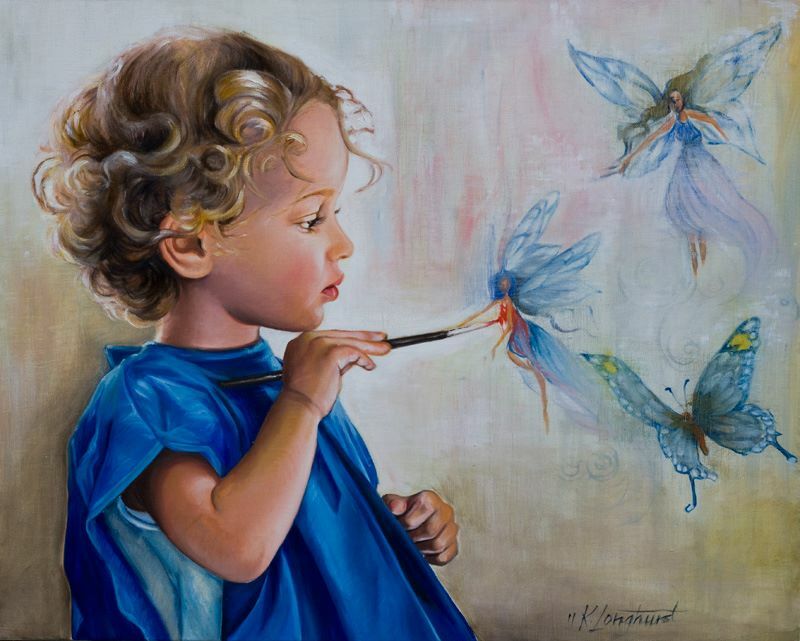 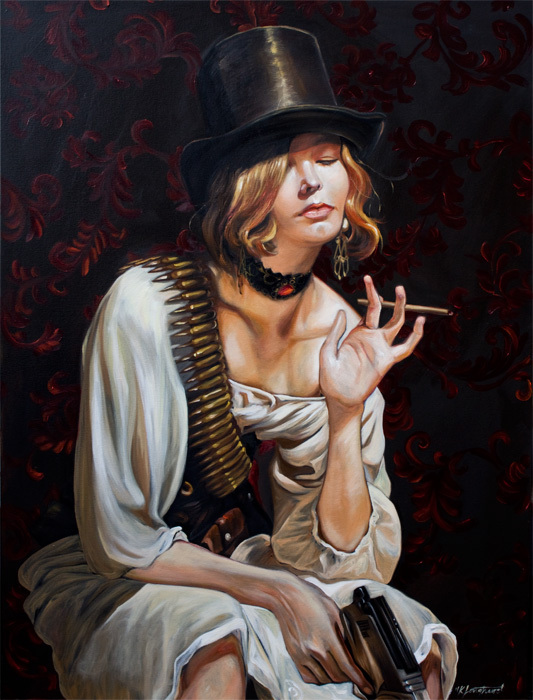 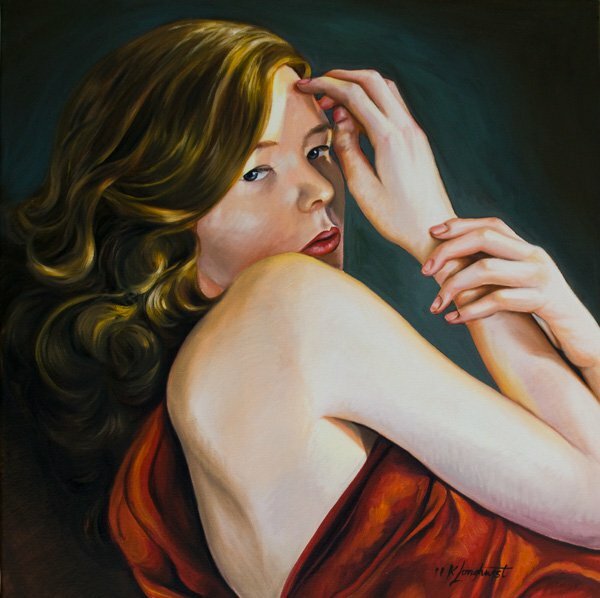 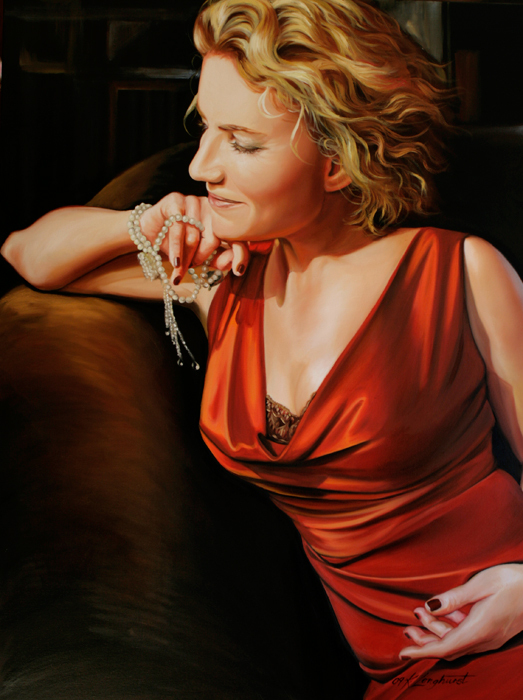 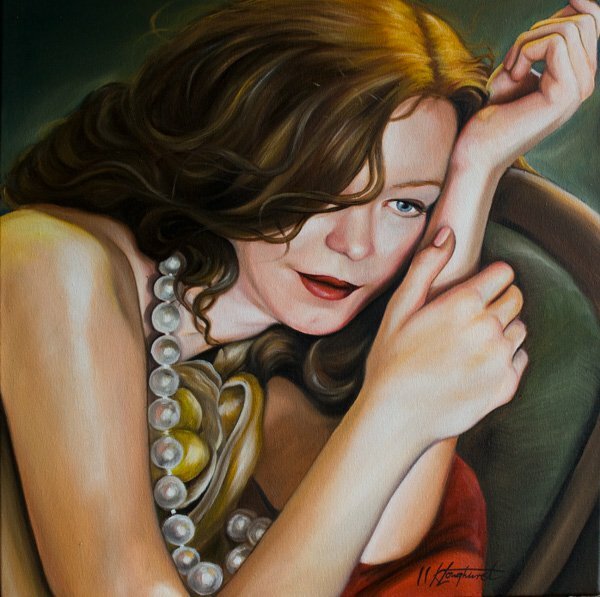 She is actively involved with Portrait Artists Australia, Australia’s largest industry association for professional portrait artists, partaking on the committee for the last 5 years and as Vice President for three years. 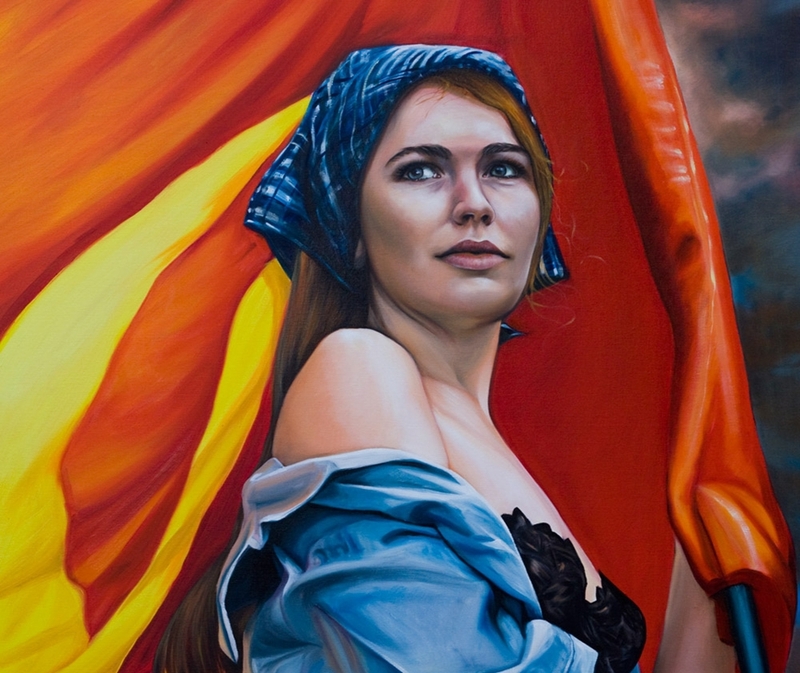 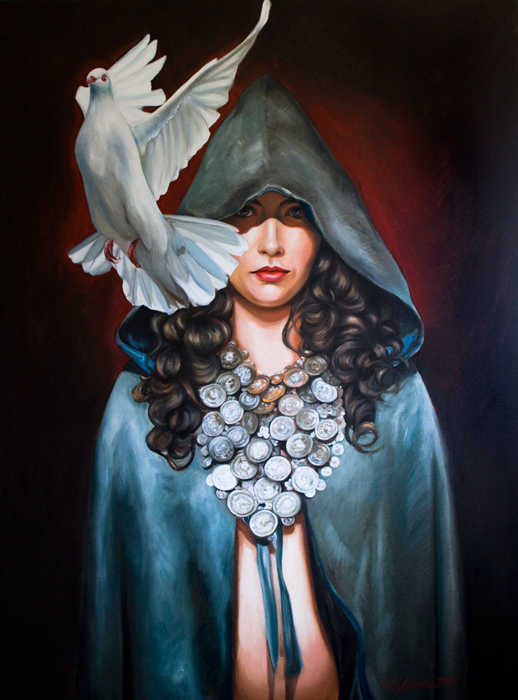 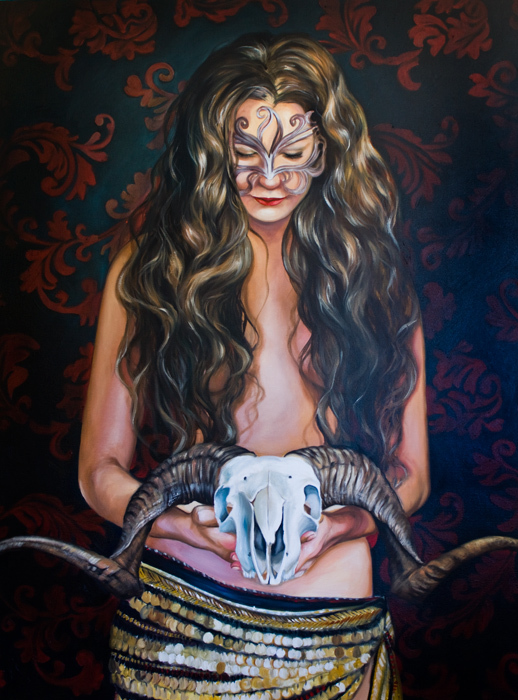 Her work has been selected finalist in many art prizes such as the Shirley Hannan National Portrait Prize, The Mosman Art Prize and the WA Black Swan Prize. 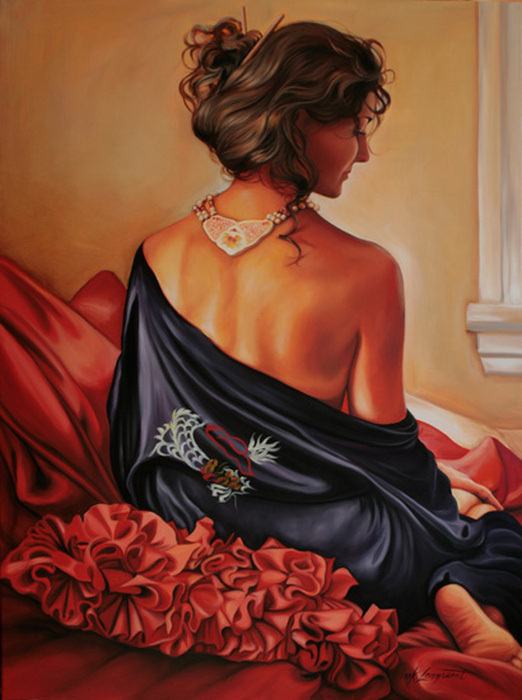 It sells successfully in galleries all over Australia as well as in the US.